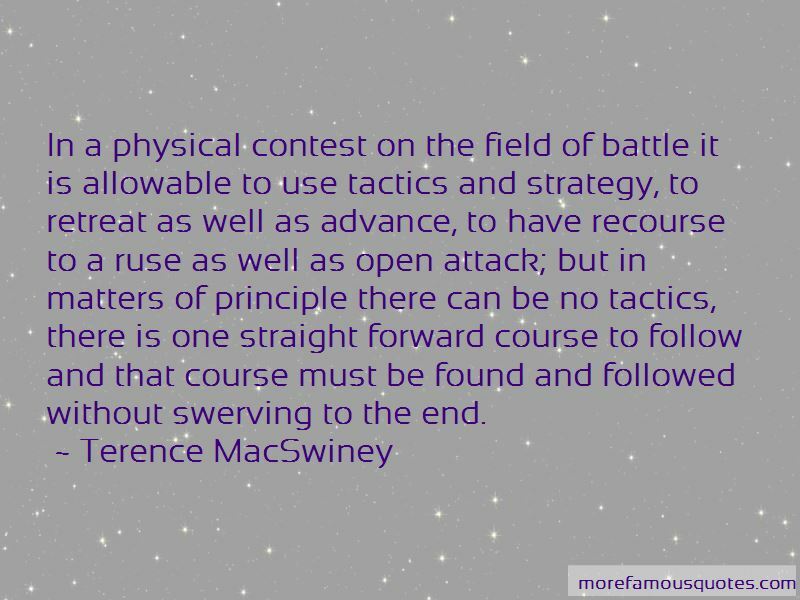 Enjoy the top 1 famous quotes, sayings and quotations by Terence MacSwiney. In a physical contest on the field of battle it is allowable to use tactics and strategy, to retreat as well as advance, to have recourse to a ruse as well as open attack; but in matters of principle there can be no tactics, there is one straight forward course to follow and that course must be found and followed without swerving to the end. Want to see more pictures of Terence MacSwiney quotes? Click on image of Terence MacSwiney quotes to view full size.